Peyton and I love going to the movies. When Peyton heard there was going to be a new Alice movie she wouldn’t stop begging me to take her to Alice Through the Looking Glass . I had my reservations. I never did let Peyton see Alice in Wonderland because I knew the Jabberwocky would be too much for her. 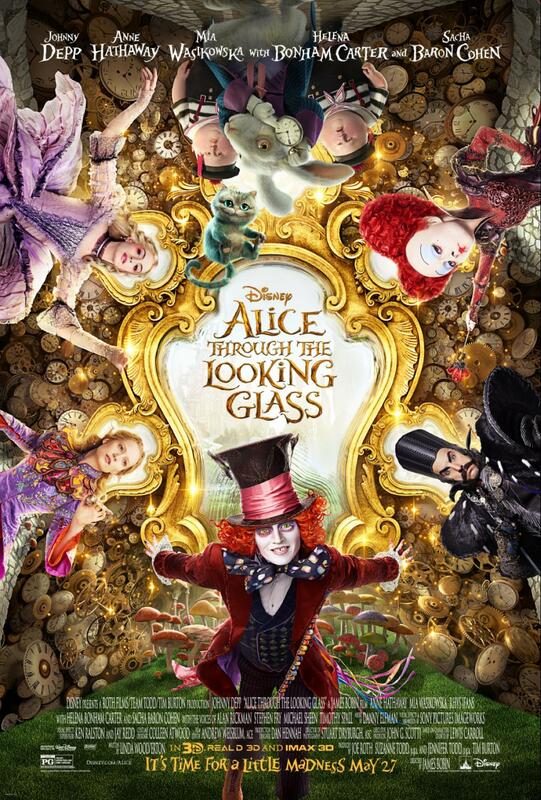 But I watched the trailers for Alice Through the Looking Glass and was positive there was no Jabberwocky. After talking with Peyton I found out what the real draw was for her, the baby Cheshire cat! Who would’ve thought with all the amazing characters and details in the movie that the Cheshire cat would be the draw? Though I must admit he is ADORABLE! Like every time we head out to the movies Peyton and I stopped at the snack area and loaded up on bottled water and popcorn. Then we settled in to see Alice Through the Looking Glass. Within the first 15 minutes we were both hooked. Peyton was drawn in with the colorful characters and lively personalities. I was fascinated with Johnny Depp’s performance as the Mad Hatter. I wasn’t sure what to expect with Peyton’s attention span and being able to sit through Alice Through the Looking Glass. But I felt the time just flew by! The story line was fast paced, kept you engaged and before we knew it the movie was over. Each character was well developed and cast incredibly well. Sasha Baren Cohen did a spectacular job as Time. He was the perfect balance of authority and entertainment. Anne Hathaway was the perfect Mirana. And Helena Bonham Carter was a force to be reckoned with as Iracebeth. Each character has the perfect actor for the part. 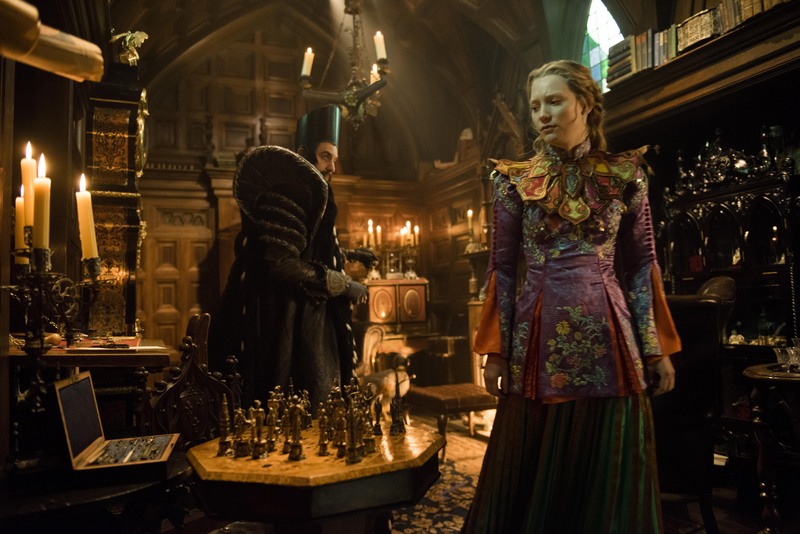 I also loved what a strong character Mia Wasikowska portrayed Alice as. She was smart, independent, resourceful, compassionate, loyal and fierce. Wonderful qualities for a role model. I loved how Alice never cared what other’s thought of her. She was loyal to her friends and strived to make the world a better place. I thought Alice Through the Looking Glass was a wonderful film for all ages. There are layers to the storyline. Parents are going to pick up on parts that little kids will not. That is what this perfect for the whole family. Everyone will be entertained. And just a warning …. the Jabberwocky does make a quick appearance as a flashback memory. Peyton didn’t seem phased by it so I still say this film is perfect for the whole family. If you are looking for a film you can take the whole family to I highly suggest Alice Through the Looking Glass. And Peyton’s new favorite song came out of Alice Through the Looking Glass too.